building beyond: Be serious or paranoid? As we in Boston saw with Hurricane Irene, sometimes official predictions of natural hazards and preparations outweigh what actually ends up happening. Girls in my dorm were decidedly underwhelmed by the winds and rain, leading to a general skepticism about "the boy who cried wolf." 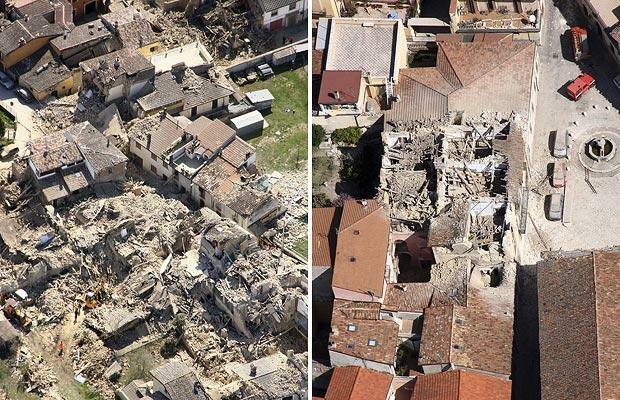 But in other cases such as the L'Aquila earthquake in 2009, seismologists are being charged with manslaughter for NOT being serious enough about the data received before the quake. An article in The Chronicle of Higher Education describes the start of the trial, leading to questions about the exactness of predictions and human attitudes towards hazards. Is it paranoia or preparedness? This semester I am taking a course with Prof. Jim Wescoat, Disaster Resilient Design, which lays out a theoretical and practical framework for thinking about and applying these issues. The topic also fits in with my thesis and makes me consider the role and responsibility of professionals and academics is within the field, as well as what it really means to "build back better." This last phrase is thrown around so much by NGOs, the government, and whoever else is involved in Haiti or elsewhere. Is "better" an objective or subjective term? If it's the latter, who determines it? How can we know if one strategy is successful without 'testing' it in the next big quake/fire/hurricane/famine, etc.? Although I can't address all (or even some) of these questions within the scope of a one-semester MArch thesis, it's worth mulling over in the back of my brain.